Charles “Doc” Holladay, 78, of Phenix City, AL passed away Wednesday, April 4, 2018 at Kindred Hospice in Columbus, GA.
A graveside service is 1:00 pm Monday, April 9, 2018 at Ft. Mitchell National Cemetery. A procession from Vance Memorial Chapel will leave at 12:30 carrying Mr. Holladay to Ft. Mitchell. Mr. Holladay was born May 7, 1939 in Aberdeen, MS to the late Edward and Mary Holladay. He was a veteran and proudly served his country in the US Army. He became a broadcaster sharing songs and info over the radio for many years. 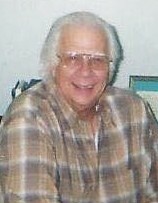 “Doc” was a well-known voice on several local radio stations including South 106 for several years. The last several years had been spent as director of operations for the Central Activity Center here in Phenix City. He is survived by his daughter, Amanda Addington and her husband Andrew; 3 grandchildren, Phoenix C. Holladay, Elizabeth Addington and Jennifer Outlaw; 2 great-grandchildren, Bentley Addington and Matthew Outlaw; other extended family members, and many caring friends. In lieu of flowers, donations can be made to St. Jude www.stjude.org/give.html# or The Wounded Warrior Project www.woundedwarriorproject.org/donate. Online condolences may be shared at www.vancememorialchapel.net.